We’ve said it before and we’ll say it again: Your home pool experience should be a stress-free zone ranging from super-relaxing to super-fun. This means trusting experts to handle pool maintenance so you don’t have to worry about upkeep. But even more importantly, a great pool experience starts with water safety. Everyone should acknowledge that pools come with inherent and serious risks. Even a minor pool problem can cast a pall over an otherwise fun afternoon, and minor problems can become major emergencies in the blink of an eye. To avoid tragedy, take safety into account while everyone is still on dry land. Shortcuts are simply not worth the risk. Even babies as young as six months can learn how to right themselves under water and float face-up to the surface. Emphasize awareness. Especially when there are a lot of people and/or toys, take a moment to tell everyone to be mindful, especially when jumping in. Supervise. Don’t assume that someone is watching. Always have an adult on hand who knows that they are responsible for supervising children in the pool. Install safety features. Florida law requires a four-foot fence around a pool, pool cover, alarm or other barrier. Drowning is a major risk, especially for young children, and it can happen without a sound. For those times when no planned pool activity is taking place, these safety features can prevent tragic accidents. Keep up with maintenance. 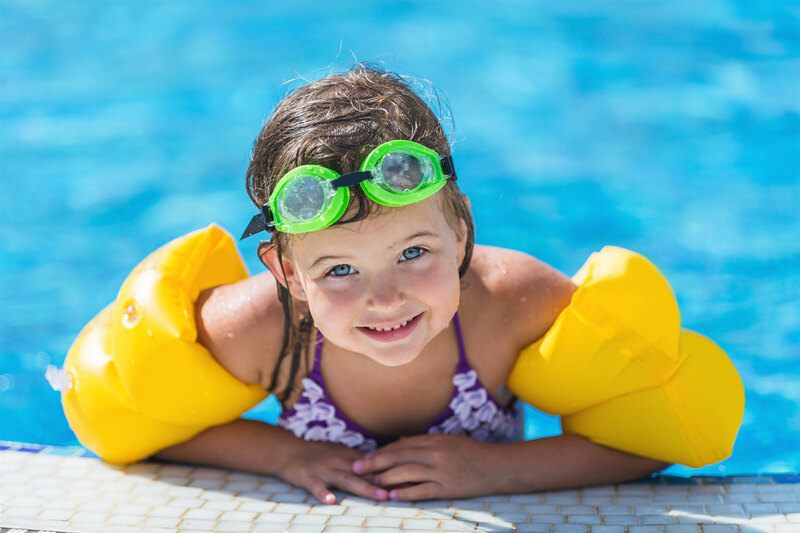 Hard surfaces, drains, filters, pumps, and chemicals—pools contain a lot of variables that have to be maximized for safety. Consult your local pool experts to make sure every aspect of your pool is up-to-date. Is your pool safe? The National Swimming Pool Foundation offers a two-hour “Home Pool Essentials” course that covers vital maintenance and safety information for anyone who spends time in or around pools. Visit nspf.org for a free preview and to sign up. Stay safe out there.